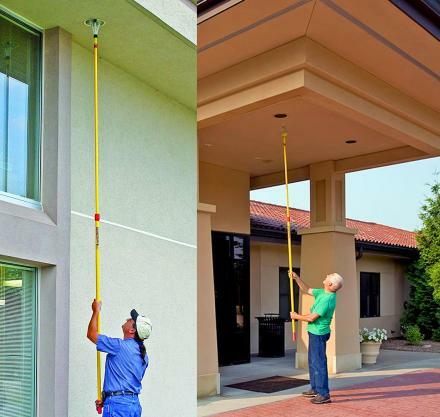 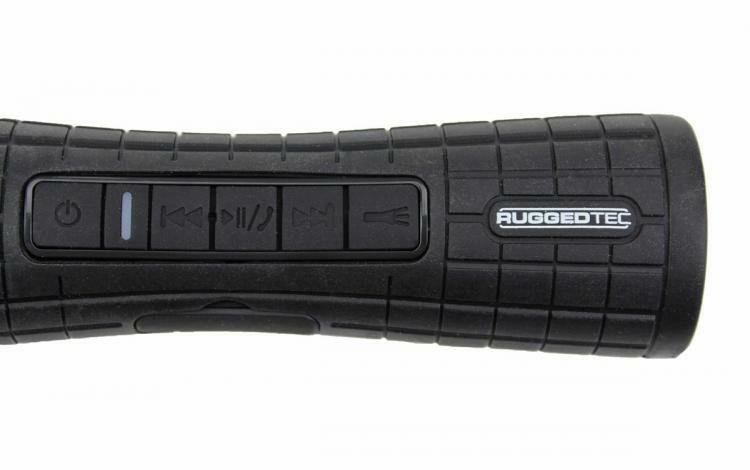 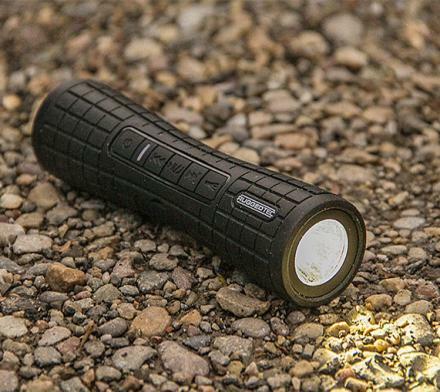 The RuggedTec Flashbang is an extremely portable and rugged Bluetooth speaker that also works as a flashlight. 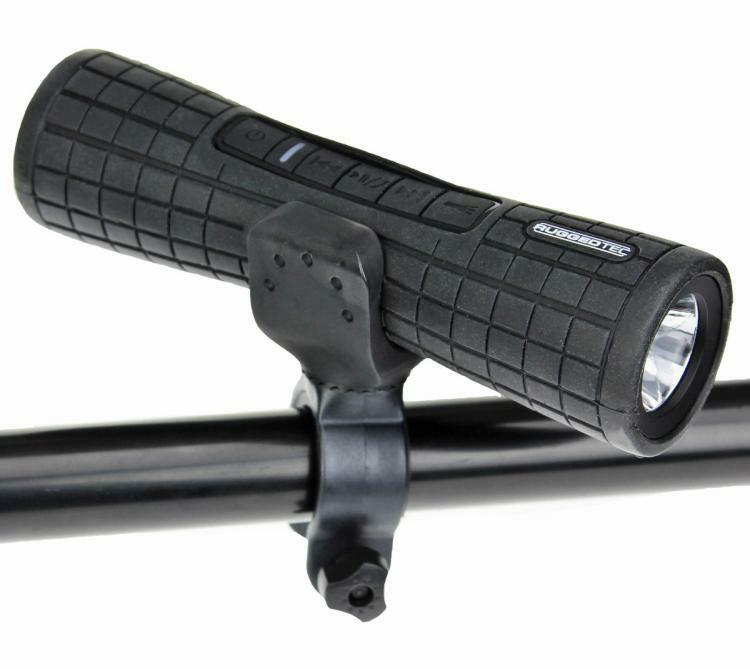 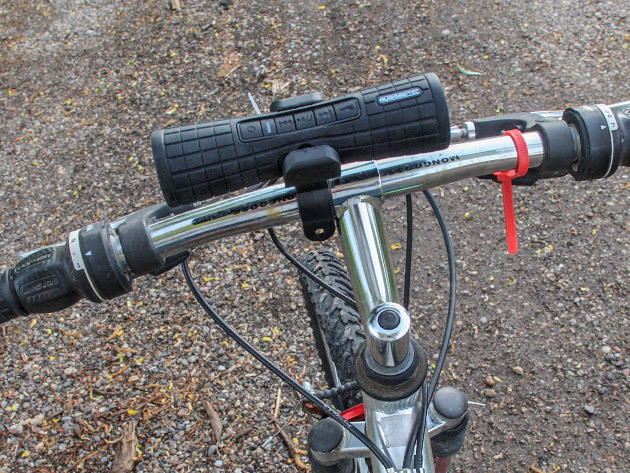 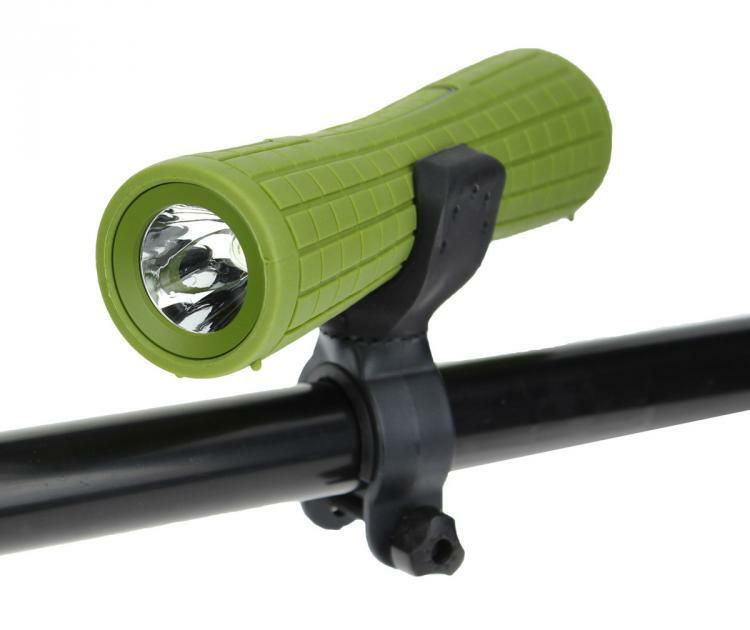 The speaker even comes with a bike mount so that you can attach it the handlebars of your bicycle to allow you to listen to music while you ride, as well as have a flashlight pointing forward for when you bike in the dark. 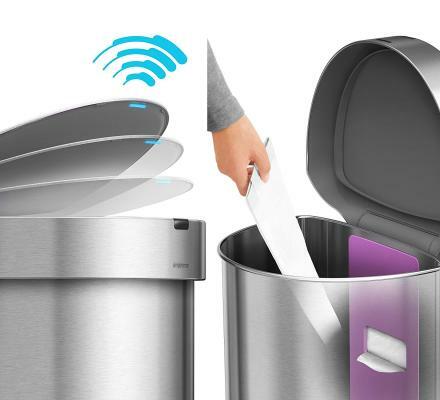 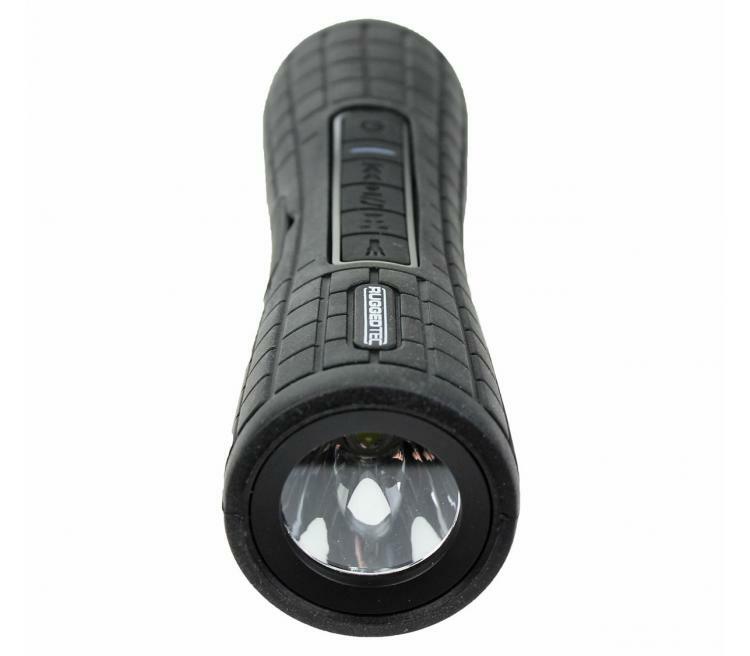 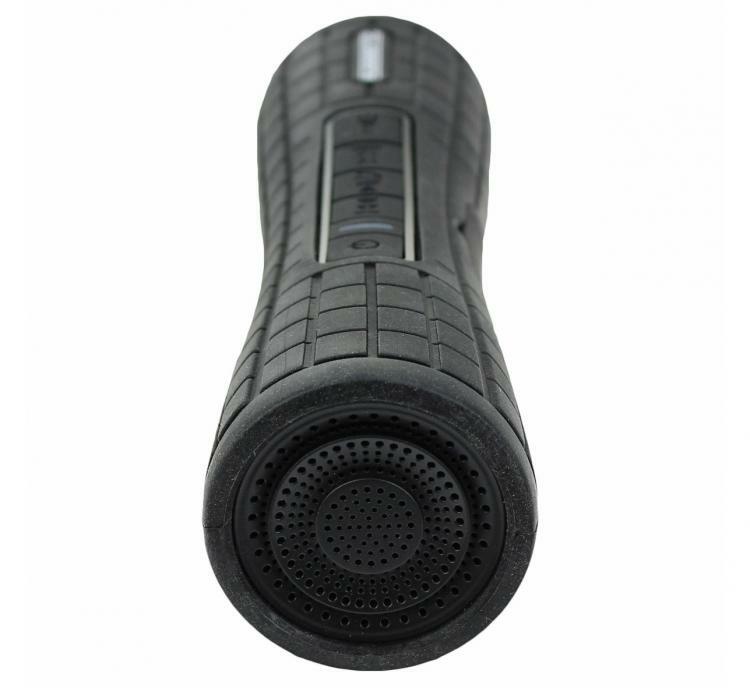 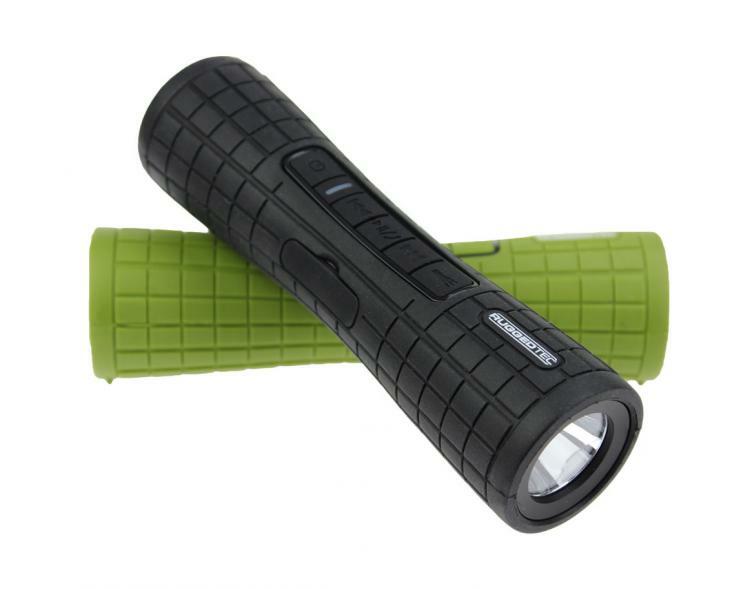 Shaped just like a regular flashlight, the Flashbang speaker features easy access controls on the side of it that allow you to control the music volume, next/previous tracks, play/pause controls, a power button, as well as turning the flashlight on and off. 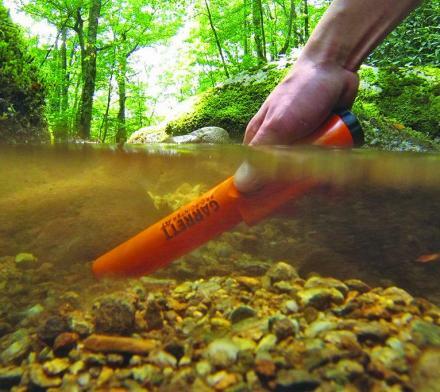 Plus the flashlight Bluetooth speaker is extremely durable and rugged, shock resistant, water resistant, and dust resistant, so no worries if you drop it into a puddle, some mud, or some dirt, while out hiking in the dark and listening to some crunchy tunes. 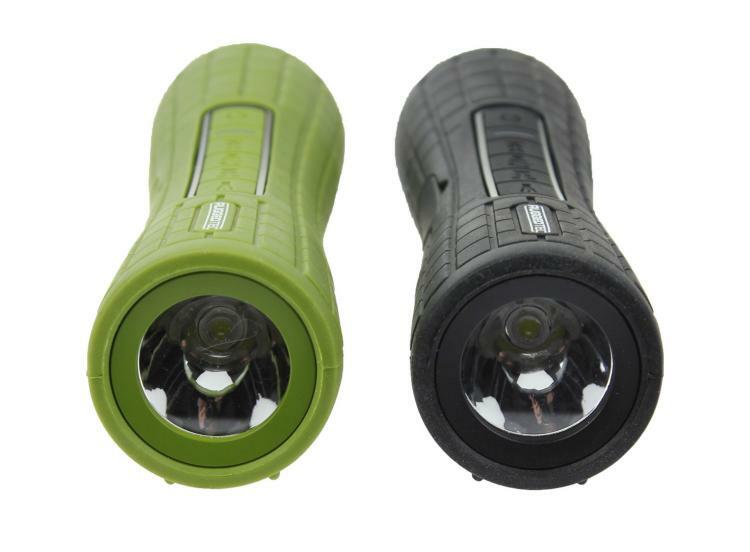 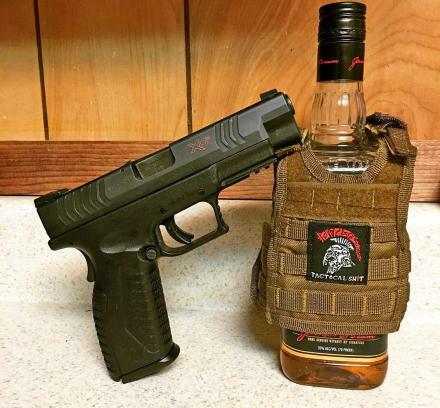 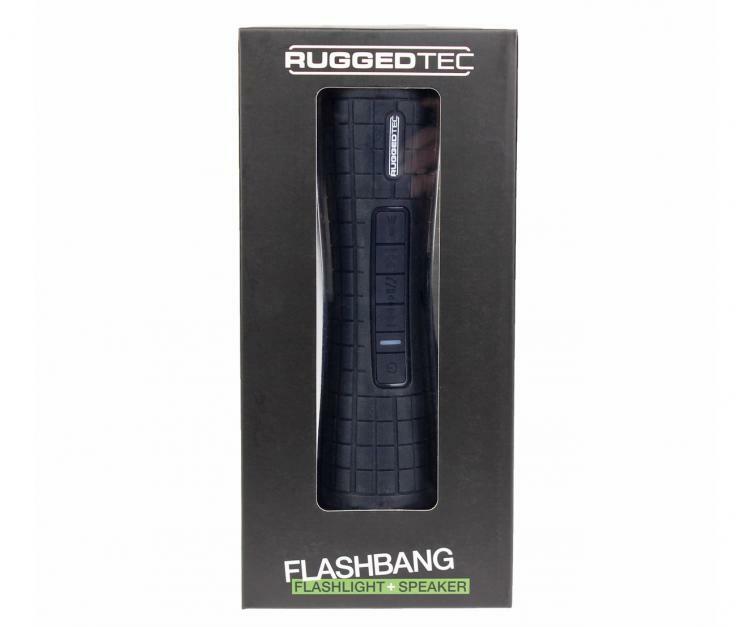 The RuggedTec Flashbang Bluetooth speaker flashlight is water resistant at an IPX4 rating, has an 8 hour battery life using its 3.7V 1200mAh internal battery, has a 100LM Lumen along with a 1W-LED lamp, is recharged using a standard USB cable, comes in black or green colors to choose from, includes a bike mount, and measures 6.22 inches long x 1.69 inches in diameter.